[post_ads]We’ve seen a lot of cool vintage Ford Broncos pop up in recent years, especially as the triumphant return of the Ford Bronco draws nigh. 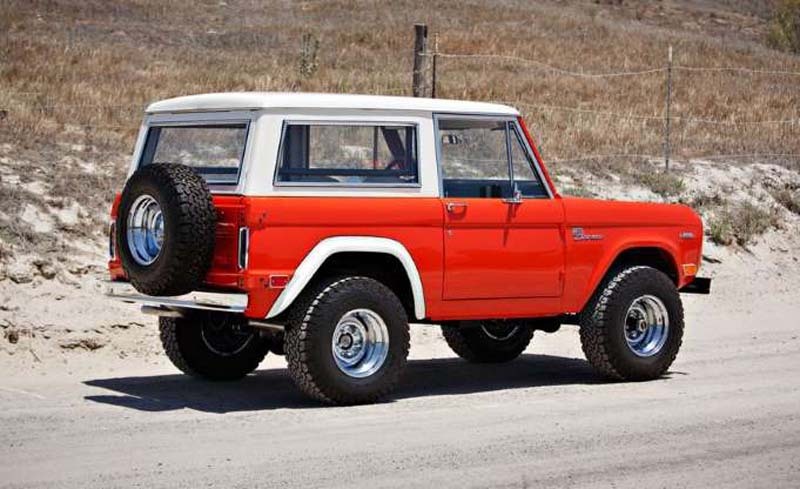 But none has risen to the level of sheer epic-ness of this incredible 1969 Bronco, fresh from a concours-grade restoration by Colin Comer and poised to cross the auction block at Gooding & Company’s auction during Car Week on the Monterey Peninsula. It is expected to fetch between $180,000 and $220,000, according to the auctioneers. As beautiful as it is in its eyeball-searing orange paint with its white rear overfenders and hard top, this Bronco’s real value is in its historic provenance. 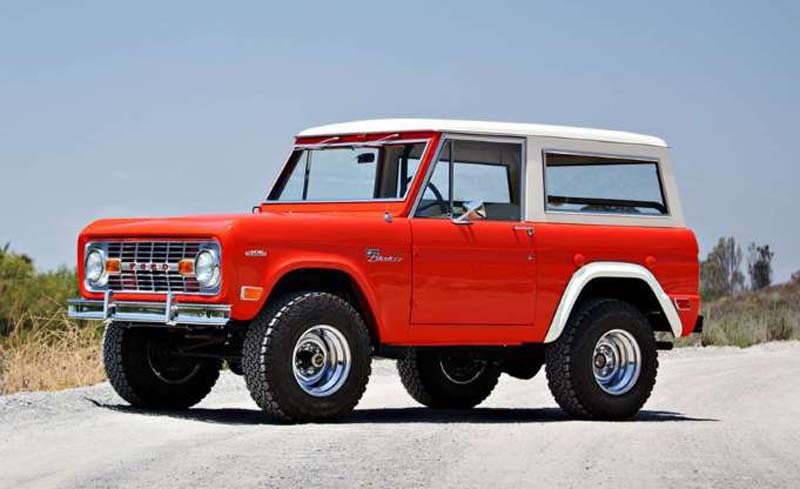 According to the Gooding & Company auction catalog, this Bronco started life as a Ford test vehicle before being sold to the company’s racing partners, Holman & Moody and Bill Stroppe, for $1. It has limited-slip front and rear differentials, a Bronco Sport package, and other interesting features. Its many modifications include its very name-Bronco Hunter-and a Holman & Moody serial number, HM9028 S, instead of a Ford VIN.